So far Kevin Garcha has created 12 blog entries. Gang violence has become a huge problem in many major cities and even some rural places. These groups are usually vicious and will do anything to prove a point. There seems to be no stop in the rapid expansion in gangs across the world. The panelists at the town hall meeting believe the fuel for all this anarchy may just be the lack of attention during their childhood. To find a solutions a town hall meeting was put into play to discuss how to put a stop to gang violence. On the afternoon of November 19 Peoples Church was to host a town hall meeting regarding gang violence. The attendees ranged from the chief of police to concerned citizens. The church was arranged with a Q&A setup, with the citizens asking questions. The panel consisted of Fresno Police Chief Jerry Dyer, Fresno County Sheriff Margaret Mims, Pastor B.T. Lewis from Rising Star Missionary Baptist Church, and outreach worker Ernie Rodriguez. The group answered any questions or responded to comments the audience may have on the topic. The town hall meeting took place at Peoples Church. The meeting started from 7pm and would last until 10pm. It was also televised on KFREE59, which was hosted by Monte. Panelists started off by giving their point of view on gang violence. Police Chief Jerry Dyer said, “Gangs in our community is the number one threat facing Fresno and I believe that is true for many cities across the nation and all you have to do is turn on the nightly news to see another drive-by shooting involving a gang members.” Chief Jerry Dyer then began to state the statistics of gang member in the city of Fresno, “ When you look at the city of Fresno we have somewhere between 18,000 to 20,000 people that are in gangs and those individuals are out there committing drive-by shootings, robberies, involved in human trafficking. Unfortunately a vast majority of these individuals are armed and they are willing to use those firearms.” Chief Jerry Dyer said. Now the questions from audience members took place, from a wrestling coach to ex-convicts. A wrestling coach at Mayfare Elementary, he explained to the panelists why gang members join gangs in their teens, “The kids are hungry,” He said, “We have to get the kids when they are small, if they want to be in a gang come join the wrestling, basketball team, parents get you kids busy. That’s what is going on they want to be a part of something. These kids are growing up and they want to be a part of something.” The wrestling coach said. Gangs are an ongoing war throughout the nation and the world. They will take in anyone they see fit for their group, if the gang can get something out of a person they will take them in as one of their own. No one in gangs looks out for one another, even though it may seem like it. Gangs consist of the “every man for themselves mentality”. A way to decrease members in gangs is to show the actual reality of gangs and uncover what really goes on in the “brotherhood”. Gangs tend to scout younger members because they are the most vulnerable and can be molded into a perfect destructive machine. These young teens are desperate for attention, a way to stop them from falling into these gangs is to show more attention to the younger teens. These teens want to be a part of something and gangs are drawing them in and showing them all the attention they desire. Then when the teens get sucked into it is impossible to get out because higher ranking members of the gangs practically own them, the hierarchy will learn the most vulnerable parts of their member for insurance if needed in the future. Martin Luther King Jr. was a bringer of salvation to the black community, a humble man with selfless ambitions. Mr. King had so many great words that he shared openly with all who would listen, yet so many people in today’s generation can barely grasp the full scope of his words and his sacrifices. Why did Mr. King sacrifice so much when he did not have to? That is a question that may be answered through a look at his lifestyle and philosophy. King had everything an African-American man in the 60’s could dream of: a house, well-paying job, beautiful wife and loving children. The reason he gave up everything is because his culture, his people, his brothers and sisters needed someone’s love and leadership. This was a burden that only Mr. King could carry; he became the Atlas of his people. The iconic ‘I have a Dream‘ speech echoes through the fabric of history and stands as the highlight of the American Civil Rights movement, but many things had to happen before this speech was delivered. If we, as a society, truly observed King we would realize that his dream was dreamt in despair and in sadness as he watched the cruelty his people had to endure. King displayed that not all dreams are created in comfort and kind environments, sometimes they are born out of desperation. Mr. King had a light that shown through the darkest of tunnels, that persevered through the coldest of nights, that endured not because he wanted to, but because it had to. He stood when no one else would, he marched even if no one would. The greatness of this man is immeasurable; it is a shame that this generation neglects the morals of that he stood for. Perhaps the reason why his purpose and sacrifice and other great works are seemingly ignored is because our society no longer values what Mr. King valued. Mr. King stood for something, but now in todays society standing for anything, or making definitive statements; is frowned upon. Some of us even believe that moral absolutes are an artifact of an inferior time and no longer serve a purpose. That the only absolute we need to care about is our own “happiness”. If we continue down this path; where pleasure is all that matters; then we will see a truly dark world. Learn from the example Mr. King gave to us, stand for something. Stand for your moral absolutes, do not fall prey to the apathy and selfishness that has swept through our nation like a plague. Stand as Mr. King stood, then maybe, just maybe we could come to understand the gravity of all of his words. For information on MLK, make sure to read the CNN article “The greatest MLK speeches you never heard“. 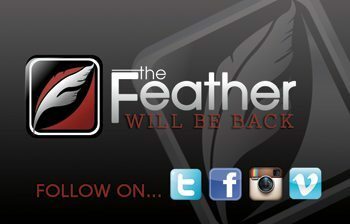 Follow the Feather via Twitter and Instagram: @thefeather and @thefeatheronline. These writers can be reached via Twitter: @RRoggenstein and @GarchaKevin8. For more opinions, read the Jan. 21 article, COLUMN: Pushing through. 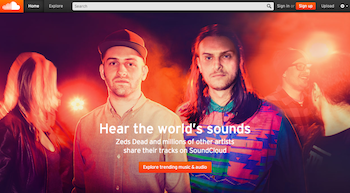 SoundCloud has recently gained increased popularity amongst its users. Music has become a big part of expression in todays culture as a whole. Many companies have come out like Pandora, Spotify, iTunes, Rhapsody and now SoundCloud. SoundCloud was originally founded in Stockholm, Sweden but then established in Berlin, Germany in August 2007. It currently has over 175 million users. The users range from musicians, journalist and interviewers. This new online streaming allows users to add, save and share audio recordings from interviews, podcasts or a music. The two CEO’s of SoundCloud are founders Alexander Ljung and Eric Wahlfross. They both grew up with music but they then noticed that there was a program to share photos such as Instagram and Flickr and to share videos there was Vimeo. But to share music there was no platform, he then took up the responsibility to bring that program where people could share, or get some feedback on their music. When the website was originally made in 2007 it was mostly used by upcoming music artists. But now newspapers and company looking for maximum advertise can upload audio onto the website and share it with millions of users. SoundCloud is very famous for music sharing and streaming ad commonly used now for upcoming artists to debut their new albums. 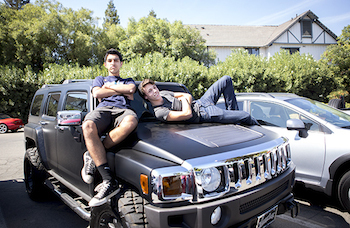 Tyler Breedlove, ’16, shares his experiences with SoundCloud. SoundCloud also gains popularity with high school newspapers. It has been rampantly used by El Estoque a high end school newspaper located in Santa Clara. They have done many staff profiles, food reviews and sports updates which have then been uploaded to their SoundCloud. Follow The Feather via Twitter and Instagram: @thefeather and @thefeatheronlilne. This writer can be reached via Twitter: @KevinGarcha. For more news, read Jan. 15 article, Student Leadership: Begins interviews. Wawona Ranch Estates officially started the tradition about 18 years ago when a lady named Ricci Ulrich, her family thoroughly enjoyed decorating. During the holidays her home and another household began adding decorations to their homes during the holidays. Christmas is the time of year for family to get together and rejoice in the jolly spirit of the holidays. Throughout the years neighborhoods have indulged in bringing life around their streets with brightly lit Christmas lights. 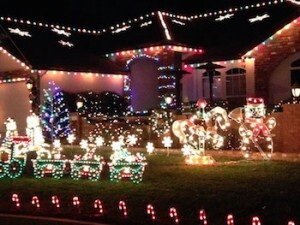 There is one neighborhood with a rather flashy style of Christmas lights, Cindy Lane. Cindy Lane is located in Clovis behind the Willow Station shopping center, East of Willow and Alluvial. There are three neighborhoods who participate in the Christmas decor: Huntington Boulevard, Christmas Tree Lane, and Cindy Lane at Wawona Ranch Estates (otherwise known as Candy Cane Lane). Another resident named Sandy Wecter also decided to help make the neighborhood blossom during the holidays, also her father absolutely loved Christmas so this would be great for him. Since then all the residents in Wawona have taken up decorating their homes and have continued to do so. Wawona Ranch Estates has about four streets: Decatur, Athens, Cromwell, and Bedford. Creating a Christmas decoration galore around the homes. There is no official opening for Cindy Lane due to it being a community effort. However, homeowners start to unravel the lights and inflatable Santa’s the day after Thanksgiving and start to turn them on the first day of Dec. around 5:30 p.m. This setup reoccurs every night until the day after Christmas. Senior Jonathan Brushwood, ’15, enjoys the decorations of Cindy Lane and easy access from his house. Despite the love for the decorations Brushwood is not a fan of the busy traffic. For more news, read the Dec. 5 article, BRIEF: Leadership invites campus to Christmas Tree Lane, Dec. 10. Samaritan’s Purse started up in the 1970s to support and serve people in distress around the world. Since Samaritan’s Purse’s purpose is about helping those in need, they created a branch that aims to bring joy to less fortunate children around the world during the holidays, Operation Christmas Child. Operation Christmas Child provides a way to give to the children who are in need and cannot afford receiving gifts on this holiday. The program makes sure that if Santa cannot come visit the children, the Samaritan’s Purse gives back to the community and those who do not have a way to receive a gift during the holidays. Every Christmas volunteers from around the world pack shoeboxes, filling them with toys and educational gear for the children to use and play with on Christmas. Operation Christmas Child makes the promise of caring for those who are uncared for. An ordinary shoebox contains toys such as a teddy bear and hot wheels, or some pencils and drawing books. Food is not allowed to be shipped to the children due to health risks. Also, every shoebox comes with something that connects the child to God’s Holy Word. Operation Christmas Child is a great opportunity for students to make an impact in their community and also make a difference in a land foreign to them. Both Operation Christmas Child and Samaritan’s Purse gives back this holiday season. After personally participating in the Operation Christmas Child gifting, I can say the feeling I got once completed the box was very positive. The feeling knowing you are helping someone in another place is very uplifting and brings great vibes. Every child deserves to be special on Christmas. Operation Christmas Child are doing their part, are you? A final collection of boxes will be Monday morning, Nov. 17. It’s not too late. Think #FCGiveThanks. And if creating a Christmas box is not for you, please consider another act of kindness and generosity this holiday season. For more opinions, read the Nov. 13 article, Almunus undergoes severe ulcerative colitis, discovers natural remedies. Many heartfelt and meaningful stories often go unnoticed or unheard in today’s high-paced society. Jorge Solis, a painter for People’s Church, possesses a story of travels, music, and redemption. Solis’ story began was in Central America. He was born and raised in the nation of Costa Rica, but moved to the Guatemala for family reasons. Solis has been working with Peoples Church for about 20 years now and along with that he is making Spanish Christian music with his friends and two sons. Solis came to the U.S. about 30 years ago pursuing a different life, he arrived in New York to pursue different career options that were just not available to him in the Central Americas. The land of the free is also the land of opportunity. As Solis’ music career grew different opportunities arose in other states, prompting him to move from New York. The flares of big city life eventually took their toll, so Solis decided to move to Fresno for more quiet living. In 1983 Solis was involved in a life changing accident which opened up his life to the spiritual world. While in the hospital he met God and decided to change his life from the fast paced club life to a lifestyle serving the Lord. When Jorge left the hospital he decided to take up a job at the Peoples Church campus. He felt this job would leave out the temptation of going back to the clubs and it would be a good way to serve the Lord. Solis is continuing his work at Peoples Church along with his son who works with him. They also continue to make music and lift their life up to the Lord. 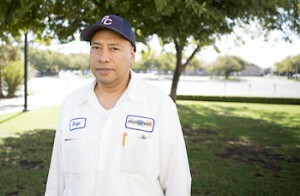 From the club life to the Holy life Jorge Solis has seen it all, and to Solis the work for the Lord is more important. Jorge Solis has music on the iTunes store, entitled Rey De Reyes Vol. 6, as well as as CD copies that are available on his upcoming website. Also he is working on an album in English and will be available soon on both iTunes and on CD. These writers can be reached via Twitter: @GarchaKevin8 and @RRoggenstein. For more features, read the Oct. 28 article, Pageant entertains audience, embarasses candidates (VIDEO). This book is a tribute to those who fought the tremendous test of survival and sacrifice. Before school ended, last year, I enrolled in AP Language and Composition. One of the requirements for the course was to read a couple of books and write a summary essay on them afterward. 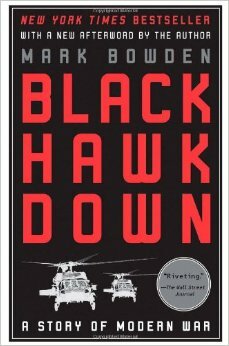 While searching around for an interesting novel, one of the books I chose was Black Hawk Down. Built on the bond of brotherhood and the strength of a family, the U.S. military is the strongest family in the world. Black Hawk Down by Mark Bowden emphasizes this theme through the memories they have made together. I had seen the movie multiple times and was not fond of the idea of reading a book in which I already knew what would happen. 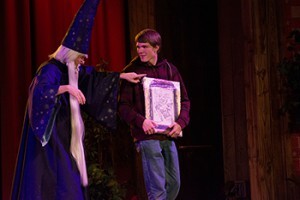 I eventually decided to go along with the notion of reading the book, although I already knew the plot. Soon I figured out that the book gave more detail about the soldiers and their relationships on and off the battlefield than the movie offered. The book gave me the same intense heart pounding feeling as the movie did. Every time I opened the book feelings of patriotism lined inside of me. The story took place in Somalia, during their Civil War. The book follows a 100-man squad of marines fighting their way through the enemy infested city. Only supposed to take an hour, the squad’s mission to abduct two lieutenants of a Somali warlord was thwarted due to an enemy ambush. Along the way to Black Hawk helicopters went down. The group of soldiers had to go and secure the crash sites for survivors while battling off the attackers. The entire contingent of Somali fighters in the city of Mogadishu tailed the small squad. They were against the clock to retrieve the grounded crew and to make sure that there was no crew members lost in their battalion. The fighting lasted throughout the night with gunfire being exchanged constantly. Rescue was on the way, but they would get ambushed and lead in the opposite way from the crash sites. The level of detail presented in the emotions of the soldiers was unbelievable. I felt as if I was standing right in the room while a loved one received the news of their deceased family members. This book is a tribute to those who fought the tremendous test of survival and sacrifice. The sacrifices these soldiers made for each other were very selfless and humbling. The stories these soldiers give is a lesson everyone can use in their life. When things begin to get difficult fight till the end. For more opinions, read the Oct. 14 article, COLUMN: Ebola virus continues to infect. Staffers Kevin Garcha (left) and Rees Roggenstein (right) comment on the string of attacks perpetrated by ISIS and the values of freedom of speech. Yet another radical terrorist group has grown exponentially in the Muslim world. ISIS, or the Islamic State of Iraq and Levant has risen to prominence in Syria and Baghdad with it’s extreme and radical ideology. ISIS has been responsible for a number of public executions, religious killings and international attacks. One of their most notable killings has been the executions of three journalists, Mr. James Foley, Mr. Steven Sotloff and Mr. David Haines. ISIS has shown that they do not value human life, and exhibit violent actions against innocent people. The killing of any journalist is an attack on the value of life and freedom of speech. But are the extreme radical terrorists the only ones attacking the right to free speech? The truth is that the freedom of speech is already under attack in the ‘free’ world. There were reporters fired for exposing the U.S. milk contamination at Monsanto, which is a multinational agricultural biotechnological company. It is the leading producer of genetically engineered seed for agriculture. Monsanto uses growth hormones that alter their products genetically. The reason for all the discrimination towards Monsanto is that they produce GMO’S, otherwise known as genetically modified organisms. Meaning it’s genetic insides have been transformed. This mutation can further the process of the organisms molecules, thus creating cancer. Monsanto harms anything around it in it’s quest of greed. They have done multiple tests on rats and 70% of the rats have died prematurely when fed GMO’S. Many of the rats died of enormous tumors grown on the rats. Two reporters Steve Wilson and Jane Akre found out that the multibillion dollar company Monsanto used such types of hormones. The two reporters uncovered the truth to the world of the cancer infected hormone and were immediately fired. Why were they fired? The two reporters were uncovering a cancer causing genetic mutation, which was for the health of all people. Defending them from a deadly virus which is contained in many food substances. Covering up the truth was the reason for the reporters being fired. Monsanto is worth billions of dollars, so if an obstacle is created in Monsanto’s way, they throw money at it, and the problem is solved. The attack on freedom of speech does not happen just in foreign countries, but also in home soil. Before we fix what goes on in the Middle-East, Europe and Russia. We need to fix our own problems here in America. Due to subpar communication about school announcements and events last school year, FC has planned for students to meet twice a week and receive in-class announcements as well as class specific information. With the new program the school aims to inform students about important events with the school community. Junior Andrew Moore enjoys advisory because it gives him time to collaborate with other students that he otherwise would never talk to. “Advisory gives me an opportunity to work with people that I usually do not get to collaborate with. Moore said. Last year I could not get announcements because of my class schedule, so I really missed out on all the school news. With the campus news being told in advisory, there is no need for the daily announcements told through the intercom. A face to face connection is provided between students and teacher, where they can gather together and brainstorm about activities, including school functions. Senior Devin Jakusz, feels advisory to be nuisance and something that really should not be active in our school. 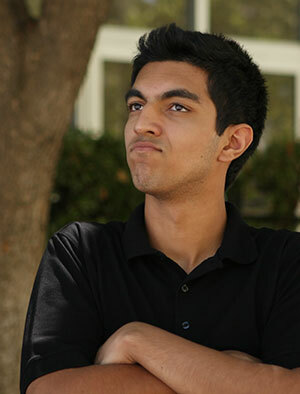 Sophomore Timothy Melendez feels that by having advisory squeezed in the schedule, it is helpful for some students. He understands the purpose of advisory and is feeling indifferent about the idea. English teacher, Andrea Donaghe was hesitant at the idea of have advisory, is slowly becoming more comfortable with the idea of the session in the school schedule. For more features, read the Sept. 2 article Technology advances education, diversifies campus. This writer can be reached @garchakevin8.